How about some pakoras with spicy coriander chutney!!! Mouth watering isn’t it? What makes the chutney so enticing? It is the green chilli that you add to it. Green chilli not only enhances flavor but also adds a lot of goodness to the food as it has several health benefits. It might not suit everyone though. But once you start eating it on a regular basis it can do wonders to your health. Some people include one whole green chilli in their daily diet. I am just dumbstruck when they effortlessly munch a chilli along with their food. I can’t eat it like that but enjoy bits of it in my omelet. Come on; join me in discovering the health benefits of green chilli. Green Chilli is famous for its intense and fiery taste, which is provided by its active constituent Capsaicin. Capsaicin is medicinally very useful. 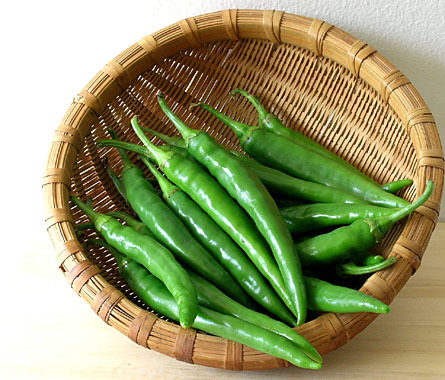 Here is a list of the goodness of green chillies. Green Chilli is a good source of vitamin A, vitamin C, vitamin B, vitamin E and minerals such as iron, magnesium and potassium. It also has dietary fibers. It is an immunity booster. It enhances the self defence mechanisms. It has anti-cancer properties. Studies show that chilli promotes the death of cancer causing cells. It is anti-ulcer in nature. It provides protection against developing stomach ulcers. Chilli is known to be a good analgesic- i.e., It is a natural pain killer. Anti-inflammatory in nature- It reduces the inflammation by stimulating the blood flow to that area. Studies show that it has anti- epileptic properties. It is helpful in the management of burns too. It is also beneficial in heart disorders. Chili reduces blood cholesterol, triglyceride levels. Thus, it lowers the risk of heart attack and stroke. Green Chilli prevents the deposition of fats along blood vessel walls caused by free radicals. It also lowers blood pressure and heart rate. Hence, eating Green Chilli may be considered as a tonic for the heart. It is beneficial in diabetes as it enhances insulin sensitivity. Eating Green Chilli enhances nasal secretions and thus provides relief from congested nose. This is why it is an ingredient of nasal sprays. I guess you would have experienced this. When you have green chilli your nose starts running right?? It helps in reducing weight. It is an anti-obesity agent. I can see your smile girls!!! It burns a lot of calories and helps in digestion. It possesses strong antioxidant properties. It is also believed to be good for lungs. 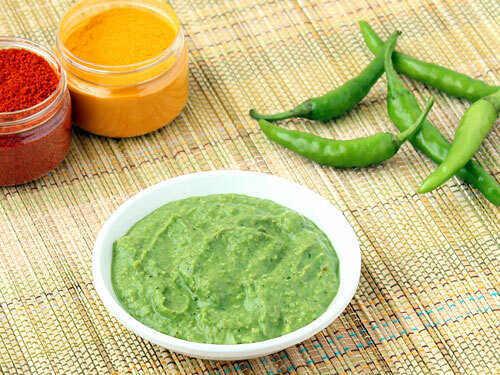 The juice of green chilli possesses antibacterial and antifungal activities. Chilli also stimulates perspiration and results in cleansing the skin and making the complexion fair. Hmmm, now I know nobody will miss the chance of incorporating green chilli in their diet. My father’s uncle eats one green chilli every day with his food and he is 90+ and fit as ever. He has been eating it for years. I hope that it is a solid proof of its benefits. This is a quick recipe of chilli pickled in lemon juice. Put them in a small glass bottle and squeeze the juice of one lemon. Keep it under sunlight for a day or two. Voila your chilli pickle is ready. Shelf life- not more than 10 days. A word of caution. Have it in moderation as eating too much green chilli will harm you instead of doing any good. It does not suit some people. So before having it make sure you are not allergic to it. Pregnant ladies should definitely avoid it. Vinita is very passionate about writing on health and well being. She was called a skeleton way back in school but she managed to gain 17 kgs during her graduation. However is still in pursuit of her ideal weight! Your welcome dear!! Go ahead but don’t overdo it 🙂 !! as tarun said i too can never bite chilli as such but can eat it . he he he ..
never knew chilli has annti ulcer properties. Hii I eat 2 green chillies with every meal. Which means two at the time of breakfast and two for lunch. I love green chilli. Is eating 4-5 green chillies a day normal and healthy? Or is it too much? How many green chillies daily are enough for weight loss. How To Balance Cortisol Levels? How To Make A Perfect LCHF Egg Breakfast?